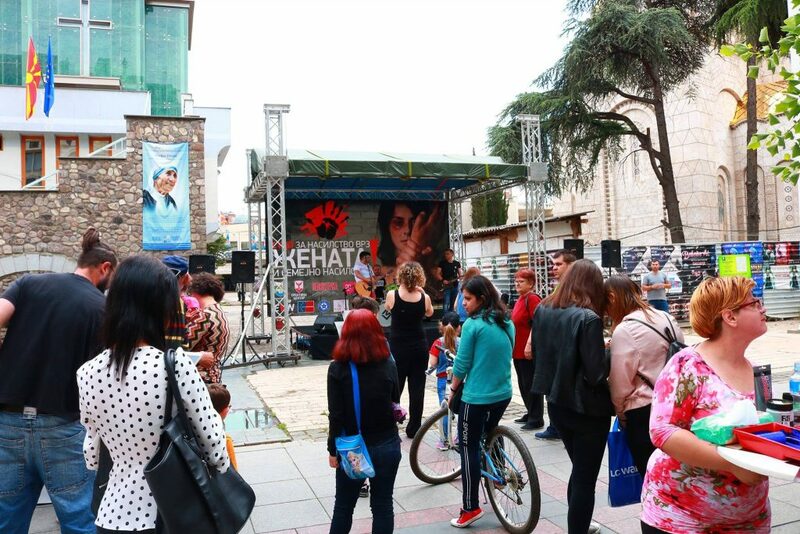 The National Network to End Violence Against Women and Domestic Violence, in cooperation with the marketing agency “Mamamo” – Skopje and with the support of the Municipality of Centar and AD Pelisterka, on 19 May 2018 organized a joint humanitarian action together with several Macedonian famous music artists in an attempt to raise the awareness about the existence of violence against women and domestic violence in Macedonia. 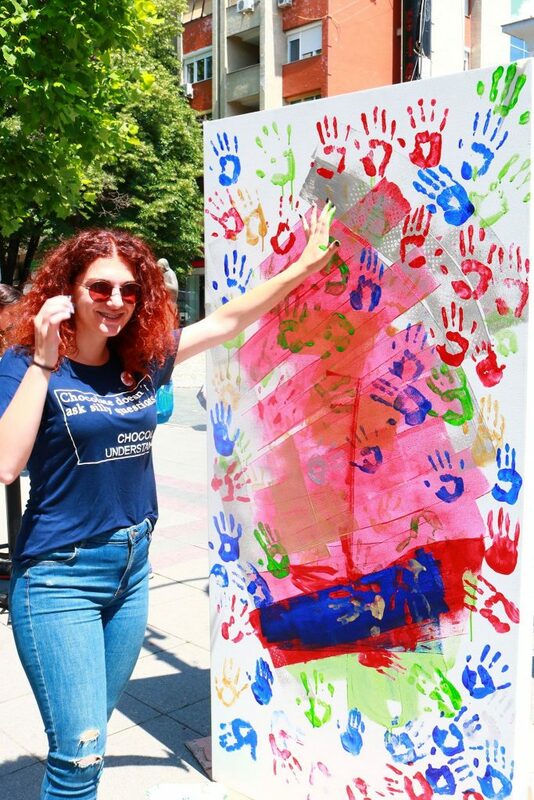 Three large painting canvases were placed on St. Macedonia for the participants and passers-by to paint. 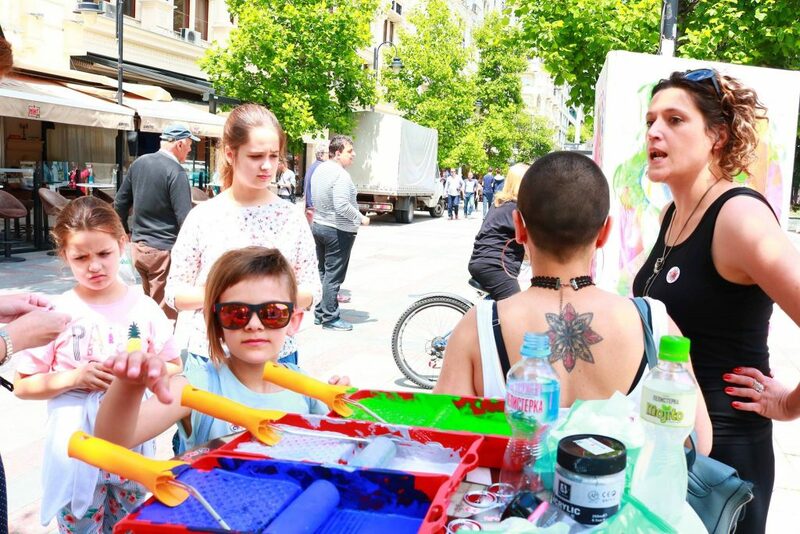 These three canvases, which are now completed paintings, will be sold at an auction and the funds will be donated to the Women`s Intervention Fund. Aleksandar Mitevski, Vatko Lozanovski, Toni Andreev, Marko LOGOUT, Viktor Apostolovski and DJ Tight Beats were the artists responsible for the music and entertainment segment. 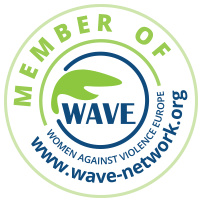 The Women`s Intervention Fund is created to assist women-victims of violence who wish to leave the violent environment. 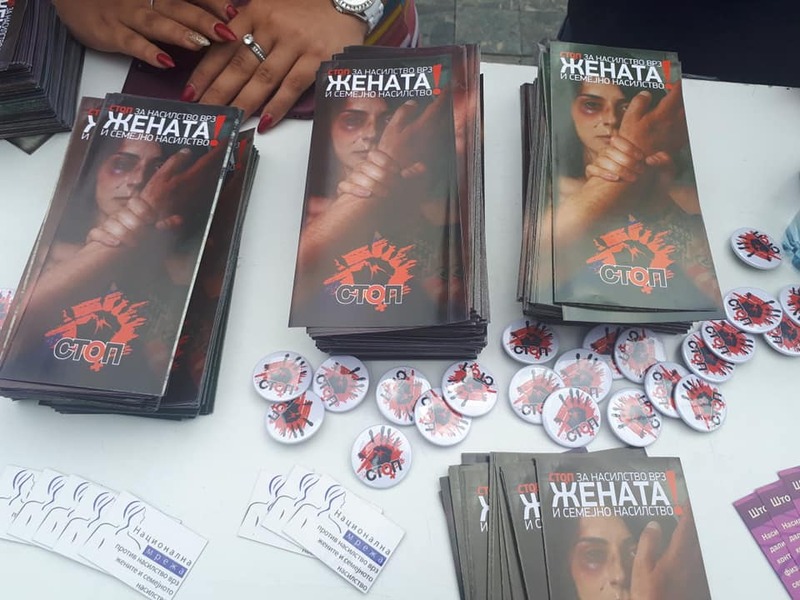 The initial assistance will comprise of provision of medical documentation, specialist reports, appointing a lawyer until the moment free legal aid is provided and other urgent measures to support the woman to leave the violent relationship.